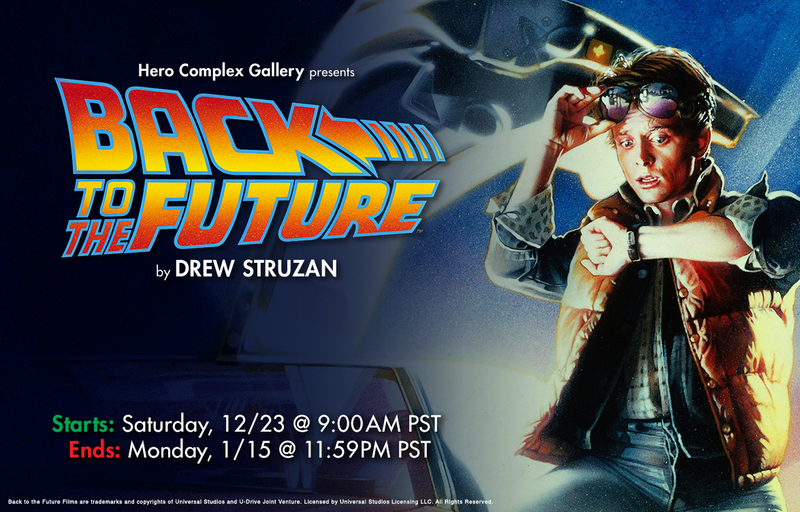 Hero Complex Gallery is thrilled to offer one final release for 2017, a timed release for Drew Struzan’s Back to the Future artwork, now being offered as screen prints for the very first time! Working from scans of the original painting, it was paramount for HCG to achieve the top level of fidelity of detail, as well as color accuracy, so they worked directly with Drew to approve all color palette decisions before printing, then conducted multiple screen print tests to assure the best quality prints possible…and the results are simply breathtaking. Edition size will be determined by the number of prints sold starting 12/23/17 and ending at midnight 1/15/18. The posters are $135 each and the add-on Drew Struzan signature is $50 each. Posters can be ordered HERE and will ship the first quarter of 2018. 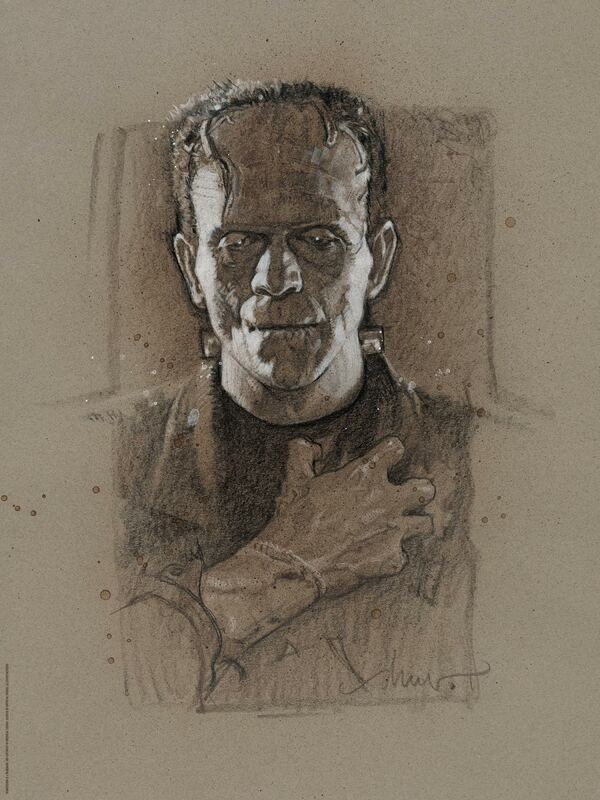 The famed illustrator Drew Struzan will be in attendance at 2017 MondoCon and he will be offering two very limited edition prints featuring Frankenstein and The Bride of Frankenstein. MondoCon is a celebration of everything Mondo loves, including movies, art, comics, music, toys and food. It’s a weekend curated with fans in mind, featuring incredible artists and creators from around the world, panels, screenings, food trucks, live score and interactive events. MondoCon will be from November 4-5 in Austin Texas. 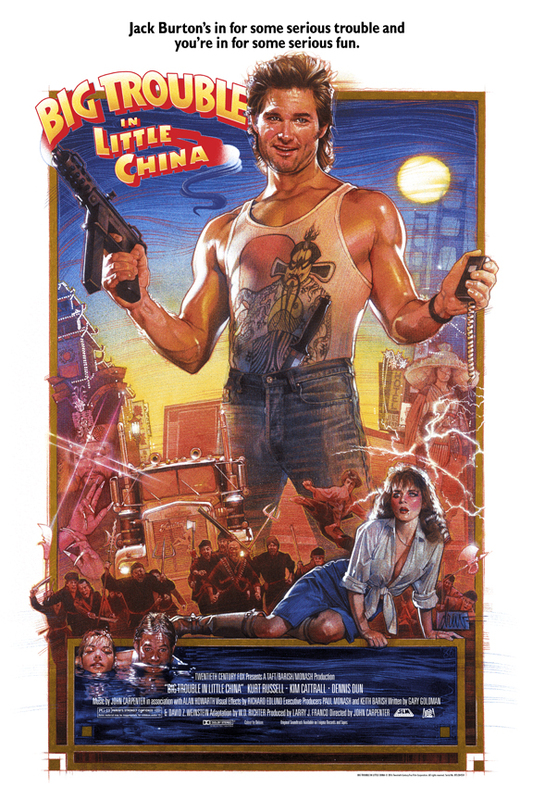 Please join Bottleneck Gallery on August 4, 2016 for two screenings of Big Trouble In Little China to celebrate it’s 30th anniversary. 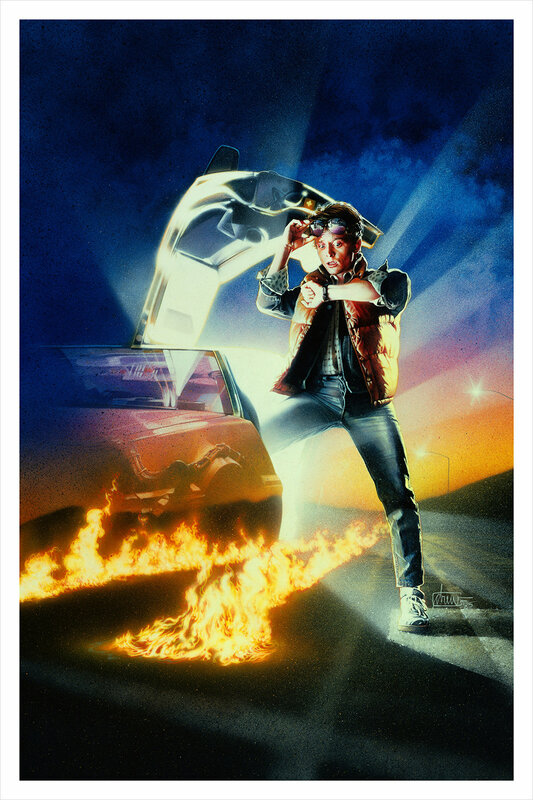 To kick off the special event, the gallery will be releasing an officially licensed, 24 x 36 inch, 17 color screen print of Drew Struzan’s iconic poster for the film. All prints are signed and numbered by the man himself and beautifully printed by Lady Lazarus. There will be two versions available at the screening. A regular edition that is out of 400 ($200) and a glow in the dark that is numbered out of 150 ($250). Both the 7 and 9:30pm eastern at Syndicated BK are currently sold out. You do not need a ticket to purchase a print. Bottleneck will start selling prints in the hall of Syndicated from 6-930pm. All posters are in hand and will be tubed. If you do have a ticket to a screening, you will be guaranteed a chance at both prints. 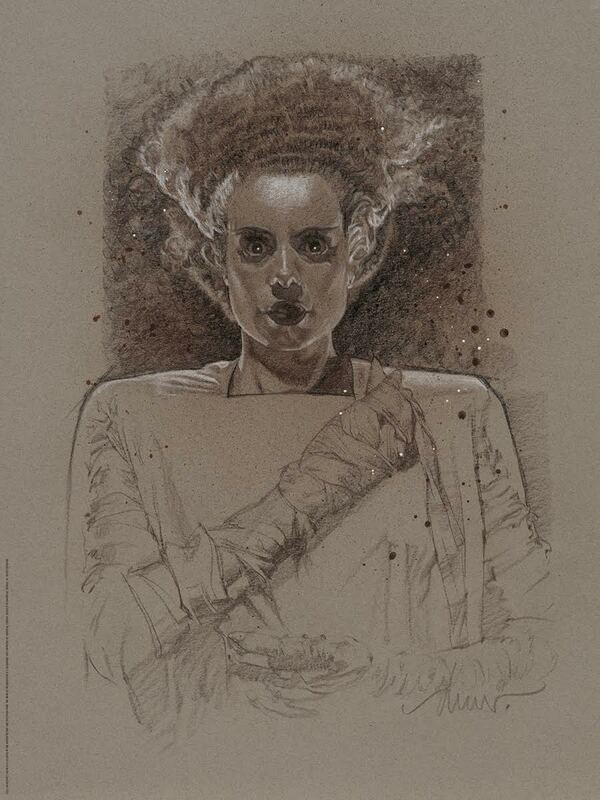 Any leftover prints will go on sale August 5th at 12pm eastern on Bottleneck’s homepage. The horror anthology Tales of Halloween boasts contributions from a small army of well-regarded genre directors, an even larger number of terror veterans in its cast, and opening theme music from Bullitt and Dirty Harry composer Lalo Schifrin. What else do you need to entice you to check out the movie, the brainchild of writer-director Axelle Carolyn, which Epic Pictures is releasing in theaters and on VOD, Oct. 16? 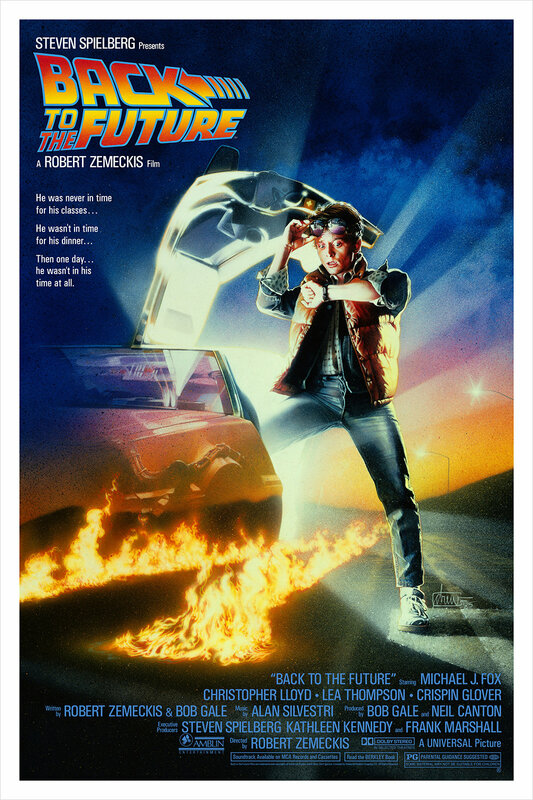 How about a film poster by Drew Struzan, the legendary artist whose work played such a seminal role in the marketing campaigns of the Star Wars, Back to the Future, and Indiana Jones movies, to name but a very, very few? You can see that new Struzan poster above. And, below, you can read a statement from The Descent filmmaker Neil Marshall — who directs one of the 10 interconnected Tales of Halloween segments — in which he explains how Struzan came to produce the image (turns out it doesn’t hurt to cast him in your movie). 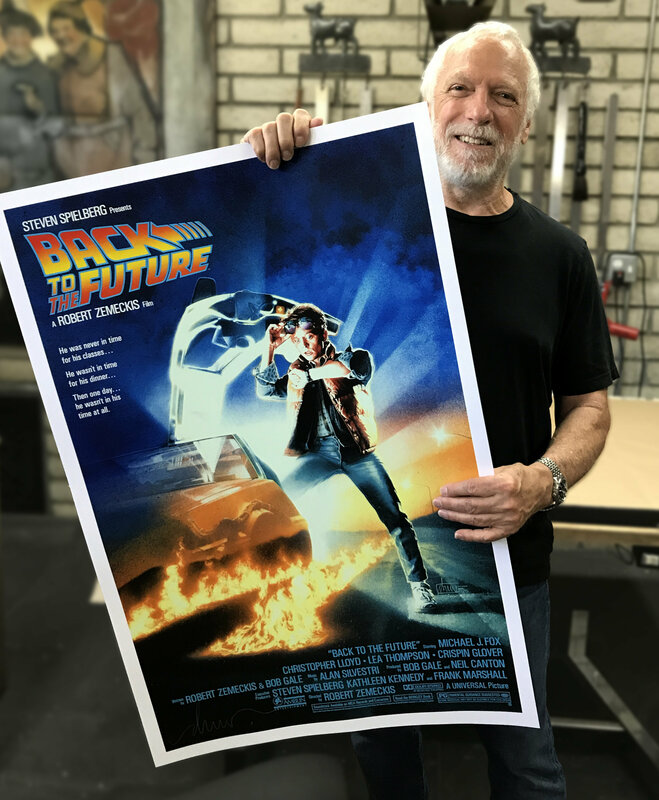 To film geeks and movie poster collectors such as myself, Drew Struzan represents something that often seems to have been lost in recent years; the ART of movie poster design. The ability of someone to capture the essence of a movie in a single painted image and create a genuine work of art you’d be proud to hang on your wall. So it’s an unbelievable privilege for our little film to be blessed by one of Drew’s beautiful paintings. It was incredible enough to have Drew play his first ever cameo (along with his son Christian) in my segment of Tales of Halloween. The poster itself came about when Axelle (Carolyn, my wife and also creator, producer and fellow director of the movie) plucked up the courage to ask him over dinner one night. I suspect though, since Drew is such a thoughtful and generous person, that he might have been upset if we hadn’t asked him. Either way, we’re honoured to have Drew’s incredible artwork grace our movie, and I for one will be making space on my wall for this beautiful poster. 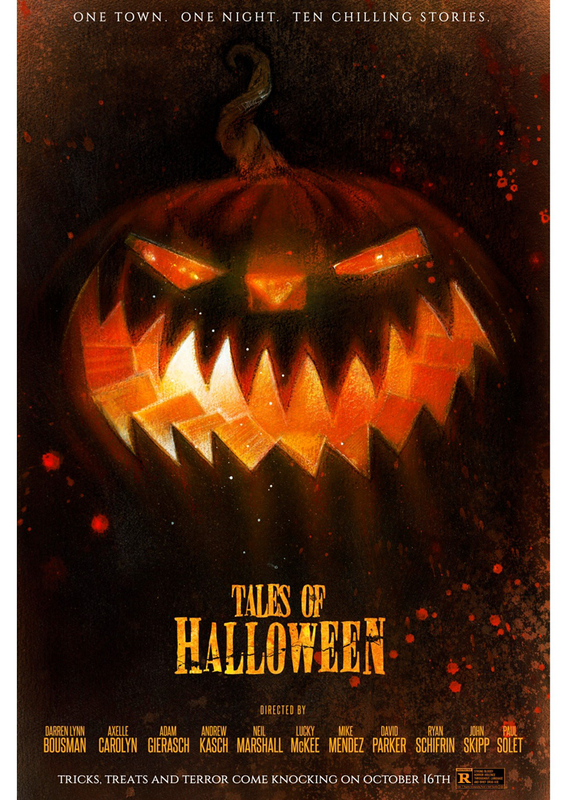 Struzan and several of the Tales of Halloween directors and cast members will be signing copies of the poster at Dark Delicacies bookshop in Burbank, California, on Oct. 10 at 6 p.m. Check out the Tales of Halloween trailer, below.